The available styles of custom Mantels and Hearths are many. We are happy to fabricate a simple, clean-line design or we can assist in the design and fabrication of more complex creations. If you can dream it, we will help you make it happen. 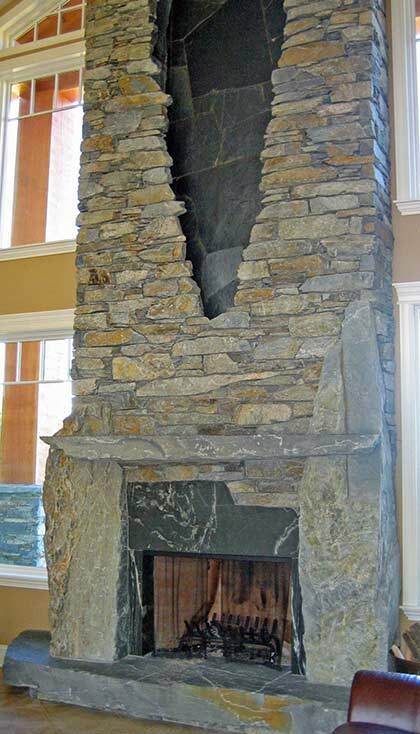 This mantel and hearth were fabricated by performing a series of sawcuts to shape larger Igneous, Ocean Pearl and other stones to fit together while also leaving the natural stone face for color and texture. 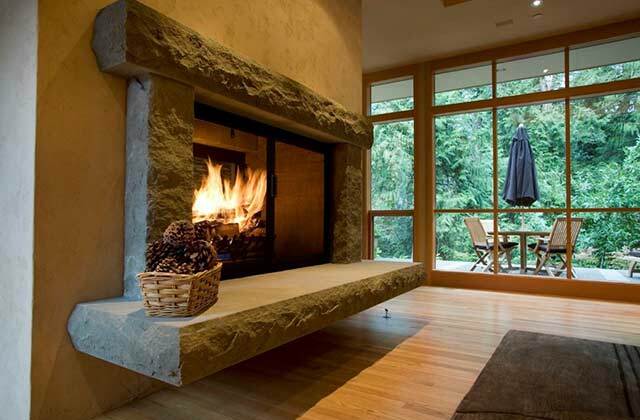 This mantel and hearth are made of Tenino Sandstone. The vertical pieces have split sides and face. The horizontal pieces have rock faced edges and honed top surfaces. Tenino stone is quarried by cutting into earth, so it arrives at Marenakos as nearly raw stone.